Hydrate your skin from beneath! New to Canada but Volite has been used in Europe since 2017 with amazing results. Unlike traditional fillers, Volite is an injectable Hyaluronic acid that actually improves skin quality by activating the fibroblasts to promote new collagen and ealstin formulation. The result….hydrated, healthy glowing skin! Volite is injected into the middle layers of the dermis across many sites to nourish your skin from the inside out. Its Hyaluronic acid formula, the molecule that can hold up to 1000 times its own weight in water and occurs naturally in your body, results in overall better skin quality as it visibly improves elasticity and hydration as well as the appearance of fine lines. It’s the perfect choice for those who want to improve their overall skin quality, as it visibly improves elasticity and hydration, as well as the appearance of fine lines. Volite will help you achieve more hydrated skin to smooth away fine lines and rough textures, more elastic skin that’s smoother and softer because it boosts collagen production and more radiant skin because it’s more nourished from the inside out. What’s so great about the HydraFacial? The great thing about the HydraFacial treatment is that it’s a great option for virtually all skin types, conditions and concerns. As long as you are not suffering from an extreme cystic breakout, don’t have any active infections or allergies to sulfa drugs, you are a candidate for this treatment. The HydraFacial is a hydradermabrasion treatment designed to cleanse, exfoliate, extract impuritites and provide intense hydration to your skin by using Vortex-Fusion Technology. Overall, the facial is very comfortable, there is no downtime, and it can be done in as little as 30 minutes. It helps to improve the overall health of the skin. Your skin is left cleaner, smoother, brighter and more hydrafted in just a few steps. During the treatment, serums and disposable tips are used to effectively and safely cleanse, exfoliate, extract impurities from pores and infuse antioxidants into your skin. Dull, dry surface skin is removed to reveal fresh skin and to allow better penetration of the serums used later in the treatment. These serums include a mini chemical peel, a deep pore cleansing solution and a superior antioxidant serum for intensive hydration and anti-aging benefit. The treatment uses some vacuum suction and fees a little wet and scratchy but not uncomfortable at all. The vacuum suction, the specially designed vortex tips and the formulation of the serums used in the Hydrafacial are what make this a superior treatment. It is customizable to give dull, aged, damages and break-out prone skin the boost it needs to glow. Results from the treatment are instant and with a series of treatments, even better! What can I do to help boost my treatment? There are several boosters available to include as a part of your HydraFacial experience that target specific concerns. The Dermabuilder contains a formulation of conditioning peptides to hydrate, firm and soothe skin to address fine lines, wrinkles, skin tone evenness and texture. The Britenol is specifically formulated to target dark spots and sun damaged areas to leave skin glowing and with a more even complexion. Lymphatic Drainage helps to detoxify the skin as well as help with sinus congestion. HydraFacials are loved by celebrities and beauty publications. This treatment was named the best facial to transform your skin by the New Beauty Beauty Choice Awards in the “Instant Results” category! The answer is YES! Gentle exfoliation can remove dirt and debris left behind after even the most efficient cleansing. It also sloughs off dead skin cells allowing all your products with active ingredients to penetrate the healthy skin tissue instead of coating your dead skin cells. However, not all exfoliants are created equally. It is important to use an exfoliant with the right shape and type of bead. We love the ZO exfoliants as they have the perfect sphere beads that do not tear or gauge the skin. The exfoliating polish instantly smoothes the skin and gently dissolves oil, and removes dulling, clogging skin cells. It replenishes hydration and healthy lipids to brighten the skin. This exfoliatant is great for all skin types. The dual action scrub sloughs away skin-clogging skin cells. It also dissolves and removes excess oils and destroys acne-causing bacteria while still replenishing hydration and reducing inflammation and neutralizing free radicals. It is great for oilier skin but also can be used by anyone. Book your complimentary consultation to find out which exfoliant is right for you! Microneedling - Now Being Offered! Microneedling is a great treatment to minimize pore size, address uneven skin tone, pigmentation, acne scars, fine lines and wrinkles on the face, neck, chest and it can even be used to address stretch marks. It is highly effective for all ages, skin types and skin conditions. This treatment triggers your body to produce new collagen for a dramatic and visible improvement in overall appearance of the skin with virtually no downtime. Your treatment will take approximately 45 minutes. When you arrive, a numbing cream will be placed on the areas to be treated. Once your skin is numb, the procedure will completed with minimal discomfort. There is also minimal downtime. The microneedling device creates micro-channels in the skin which enables serums and skin care products to penetrate deeper for maximum benefit. For best results, a series of 3-6 treatments is recommended at 4-6 week intervals. We are so excited to have this service now at Britannia Dermedics. Call today for your complimentary consultation. Acne is one of the most common of all skin disorders, affecting almost everyone at some point in their lives. However, as adults, we assume the years of ugly pimples are behind us. While most people outgrow acne in their late teens or early twenties, many are affected into adulthood or even experience late onset acne. Although the exact cause of adult acne is unknown, possible contributors include stress, cosmetics and hormones. Wash your Face – washing your skin twice a day with a gentle cleanser is key in removing excess oils and makeup that can clog your pores. We love Vivier’s Acne wash. This broad-spectrum antimicrobial acne wash is an all-in-one cleanser and toner that deep cleans pores to remove surface impurities such as dirt, oil and bacteria while helping to prevent new acne pimples. It contains 2% salicylic acid USP (pharmaceutical grade) for the treatment and prevention of acne pimples. Exfoliate – exfoliating the skin will help to remove the buildup of dirt and oils in the pores causing the skin to look oily. Gentle scrubs are good, especially ones that contain a little salicylic acid. Salicylic acid is anti-bacterial and anti-inflammatory which helps flush out the pores as well as reduces inflammation associated with acne break outs. We love the ZO TE Pads which can be used twice a day to help minimize surface oils and exfoliate pore-clogging dead skin cells and dirt. Using the pads twice a day also helps to calm and soothe irritated skin. Hydrate your skin – it is important to keep your skin hydrated to prevent the skin from over producing oils. If your skin feels thirsty, it will create more oil to nourish it. By keeping your skin properly hydrated, it will function normally without becoming overly oily. When choosing makeup, always choose mineral, oil free makeup brands – most drug store brands contain silicone and are oil based. Mineral makeup is antibacterial and anti-inflammatory, and won’t clog your pores. We love Jane Iredale makeup as it is mineral based and has the added benefit of containing an SPF. Fortunately, the physical and emotional effects of acne can be reversed with proper at home care and in office treatment. While adult acne can be persistent, an individualized treatment plan from our office can help you reduce blemishes, prevent scarring and eliminate your acne. With diligent at home care, your acne can be significantly improved, allowing you to regain your confidence! Laser Away Wrinkles, Redness and Uneven Skin with Laser Genesis Technology. Laser Genesis is non-invasive laser technology that safely, discretely and effectively treats fine-line wrinkles, excessive redness and blemishes such as large pores, uneven skin texture and scars. It promotes vibrant and healthy looking skin. Laser Genesis is a non-invasive skin procedure that stimulates new collagen production, which helps improve your skin’s firmness, improve your skin’s texture, and reduce the appearance of fine line wrinkles. It also helps reduce pore size and diminish redness. Laser Genesis is also a great treatment for acne-prone skin! The heat from the laser has the ability to kill the bacteria under the skin, as well as stimulate the healing process with the laser light. We generally recommend a series of 3-6 treatments. Clients experience subtle yet consistent results after each treatment, without unwanted side effects such as bruising or skin irritation and no downtime. Treatments are performed in a relaxed, comfortable environment without the need for topical anesthetics. COME IN FOR A COMPLIMENTARY CONSULTATION! In the US, 85% of women regularly spend time removing unwanted hair daily? Women who shave, will spend over $10,000 on shaving products during their lifetime. Women spend 2 entire months of their lives shaving! Women who wax 1-2 times per month, end up spending about $23,000 on waxing products in their lifetime. Luckily, in this day and age, we have options for hair removal other than shaving, waxing, threading and even electrolysis. The problem with older options is that the results do not last and some of them are quite painful. Laser hair removal is on the rise, however, likely due to the effectiveness found in modern laser technology. We are often asked if laser hair removal actually works. Each laser works lightly differently, however the basic process is the same. The laser targets the pigment in the hair follicle, either through intense pulsed light (IPL) or by diode. The heat and energy combined are absorbed into the follicle, damaging the areas that produce the actual hair. With repeated treatments over the growth cycle of the hair, the follicle becomes unable to produce the hair from that follicle. After each treatment, the hair stems from that follicle will lose its course texture and speed of growth will be significantly diminished after each treatment. So, is laser hair removal painful? Depending on the laser used and the settings of the laser, laser hair removal can be painful. This is one reason why choosing a certified laser hair technician and clinic is vitally important. Not only can the laser technician impact your result, they can also be responsible for the wavelengths that affect your pain threshold. Seeing results after laser hair removal is highly dependent upon genetics, where the hair is in the growth cycle and the part of the body being treated. Typically we advise clients to have multiple treatments per area for optimal results. Hair grows in a cycle and at any given time can be in one of 3 phases. Laser hair removal only targets hair in the growth stage and any number of hairs may be in this or a different stage. Because of this, multiple treatments are necessary to target all hairs. The ideal candidate for laser hair removal is someone with light skin and dark, course hair. These candidates respond faster to the laser technology. This is not to say that someone with darker pigment will not benefit from the laser, the results may just take longer to achieve. Choosing a clinic with the appropriate laser for your skin type is vital for optimal outcomes. Call us today to find out if laser hair removal would work for your hair concerns. What is botox for hyperhydrosis? Botox for hyperhydrosis is a treatment using Botox injections to help with excess sweating. Botox injections work by blocking the secretion of the chemical that activates sweat glands – essentially turning them off. The injections are very shallow – the medicine is injected just below the surface of the skin, where it remains. While everyone breaks down the Botox injections differently, typically you can expect three to six months of results from your injection. It is important to note that stress and exercise can cause the Botox injection to fade quicker. Research shows it is safe to treat excessive sweating on: armpits, hands, feet and other relatively small body areas. Botox injections have been shown to result in an 82-87% decrease in sweating under the arms. Patients typically notice results in about 2-4 days after treatment. They usually enjoy the full effects of the treatment within 2 weeks. Although sweating is a vital part of the body’s processes as it helps with temperature control, it is safe to diminish or prevent sweating in a small, localized area because you are only impacting a small percentage of the body’s cooling system. For example, the sweat glands in the underarms are only 2% of the sweat glands in the body. Botox injections are a very safe and effective way to combat excessive sweat problems. Take the first step by calling us today to see if you are a candidate. Contact us today or Book Now! Hyperpigmentation is when an area of the skin darkens due to the overproduction of the skin pigment called melanin. Some examples of hyperpigmentation are freckles, sun spots, age spots, under-eye dark circles and melasma. It is relatively common and generally a harmless condition. However, for some people, hyperpigmentation may be an aesthetic annoyance as it can affect any part of the body including the face, neck and hands. There are various causes of hyperpigmentation from overexposure to the sun, picking at the skin and certain medications such as antibiotics, hormone treatments, and anti-seizure drugs. Although, for some it can simply be a hereditary condition. How do we treat hyperpigmentation? Depending on the client, we treat hyperpigmentation with laser treatments, medical grade skin care products or a combination of laser treatment and medical grade skin care products. Botox is the holy grail treatment for reversing the signs of aging that are already visible but it also has increased in popularity as a preventative anti-aging treatment. Doctors are reporting an increase in their number of Botox patients in their 20s and 30s with the goal of preserving their youth and to smooth away hints of lines before they become more prominent. We have known for quite some time that lines, wrinkles and folds are caused by the repetitive folding of the skin from everyday facial expressions. Initially, Botox was thought to be specifically for those in their 40s, 50s and 60s seeking a solution for wrinkles and folds that had developed. However, we have now realized that by injecting patients earlier we can actually stop the wrinkles from occurring. The lines never develop when you slow down the use of these muscles in early adulthood. Stopping the lines from forming in the first place means you won’t need to correct them later. Also, many people believe that investing in pre-rejuvenation Botox saves you down the road. Botox treatments in your 20s and 30s ultimately prevents you from requiring more invasive procedures later. With all of this said, however, we believe that Botox treatments are not appropriate for teens, children or infants. Growth factors play a vital role in maintaining firmness and elasticity in your skin. Daily use of skin care products containing growth factors are known to help reduce the appearance of fine lines, wrinkles and improve skin tone and texture. It is important to realize, however, that not all growth factors have the same benefits. Growth factors are natural substances made by skin cells to maintain healthy skin. They are responsible for supporting the repair of damaged skin, and provide firmness and elasticity to the skin while helping to maintain skin’s protective functions. Growth factors are wonderful for aging and sun damaged skin. Aging skin produces less growth factors naturally than youthful skin. That is why growth factors are essential in skin care products as we age. There have been several clinical studies that have highlighted the benefits of topically applied growth factor products showing improvements in the appearance of fine lines, wrinkles, texture and discoloration. Results can be seen in as little as 6-12 weeks when used twice a day. What’s even more exciting is that combining growth factors with antioxidants will show results even sooner. Britannia Dermedics can help with rejuvenating your skin. Why should we protect ourselves from the sun year round? While ultraviolet B (UVB) rays are the main cause of sunburns and are the strongest in the summer, ultraviolet A (UVA) rays remain constant throughout the year. UBA rays prematurely age our skin, causing wrinkles and age spots. UVA rays account for up to 95 percent of the UV radiation reaching the Earth. UVA rays are so prevalent that they can even go through glass, making sun protection necessary indoors as well as out. The greatest part of our sun exposure occurs in brief intervals year round such as walking the dog or sitting in traffic. The UV damage accumulated from these small daily exposures add up over time and can lead to premature skin aging. Just because you do not lie out in the sun or tan regularly, you can still be getting skin damaging exposure. This is why sun protection is so essential all year around. It is important to choose a broad spectrum sunscreen that will protect you from both UVA and UVB rays. Look for ingredients such as zinc oxide and titanium dioxide as they reflect the light away from your skin allowing little absorption. Lotion up liberally. Additionally, reapply throughout the day as the sunscreen you apply in the morning will not be effective by the end of the day. Luckily, there are products that make re-application easy and convenient. At Britannia Dermedics, we love Colorescience products and especially the powdered sunscreens called Sunforgettalbes. These sunscreens are available in a SPF30 and SPF50, as well as in different shades to match your skin tone. They can even be applied over makeup quickly and effectively. Always remember, practicing sun safety is a lifelong and year-round must. Try a professional collagen stimulating procedure like the Laser Genesis facial, Venus Legacy treatment or Venus Viva treatment. A lot of people ask us why we recommend medical grade skin care products. We believe that “over the counter” or drugstore products can’t fix real skin problems. Medical grade has higher concentrations of active ingredients. Drugstore products are formulated for everyone and anyone, and are not dispensed by a Physician and therefore can only have small amounts of any active ingredients. If you want to get real results from a skincare product, the product needs to reach deeper layers of the skin. Drugstore products can only work on the epidermis or the outer layer of skin, where the skin cells are starting to shed. Medical grade products can penetrate into the deeper layers of the skin all the way to the dermis, or the middle layer of the skin, where the elastin and collagen are contained, as well as the basal, or the bottom layer of the skin, where new cells are produced. We believe that young, beautiful skin is more than just the lack of wrinkles or beautiful full lips. Younger skin is also brighter, tighter, with more even tones and blemish-free. In order to achieve this, we believe you need products that penetrate deeply into your skin. Medical grade products give They have been scientifically published in medical journals and have been proven to work. Manufacturers of medical grade skin care must be able to scientifically back any claims that they make. Each product is put through extensive clinical testing. The ingredients of medical grade products can repair skin at the deep layers, where the problems begin and therefore provide real results. Vitamin C – actually improves laxity in the skin, strengthens skin cells and can prevent future sun damage. Hydroquinone – reduces discoloration and inhibits melanin production which is what causes the discoloration and age spots that emerge as we grow older. Retinol (a derivative of vitamin a) - wonderful for epidermal and dermal stimulation and renewal. Retinol is the only topical ingredient that repairs age-related and environmental skin aging. Medical grade retinol uses a higher percentage of retinol which makes it much more effective than any over the counter retinol. Regular use of medical-grade skin care products can thicken and strengthen the outer layers of skin and help our bodies to produce more collagen. Collagen, in turn, plumps up the face from the inside out, giving you an overall, more youthful appearance. If you are looking for skincare that works! Visit us to discuss what product would be best for you! Protecting your eyes isn’t just about going to the optometrist and wearing sunglasses. 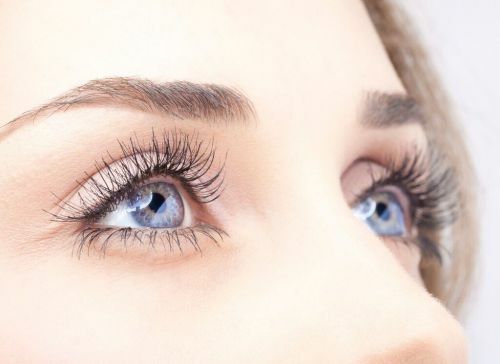 The appearance of our eyes is important to us, too, and it’s also one of the most delicate areas of skin on our bodies. Similar to your chest and neck, the skin around your eyes is thin—it requires the most protection and the softest touch. There is less fat, collagen, and elastin in these areas than in the rest of your body, and they are therefore more easily irritated and damaged. The first signs of aging skin are found in these areas, as they can fall victim to wrinkles and sun damage. Remember: delicate skin needs to be treated delicately. No pulling or hard scrubbing. When cleansing around your eyes, avoid pressing hard, and use only one finger, dabbing lightly so as to cut-out pulling around the eyes completely. While being careful to take the best care of your delicate skin, avoid harsh face washes and lotions. Medical Grade skin lotions and cleansers are the best idea for your whole skincare regime, but they are especially important at these sensitive areas. These thin areas of skin are easily irritated and can become inflamed when rubbed with non medical-grade skin cleansers and perfumed, thick eye-creams. Treat your eyes to a skin care regime that will prolong the youth of your delicate eyes. Clean make-up can make an incredible difference. Clean mascara, primers, brushes, and eyeliners are necessary to keep the skin around your eyes as clean as possible and avoid irritation. Over the years, irritation leads up to weakened skin, redness, and wrinkles. Treat your eyes like the delicate parts they are!.